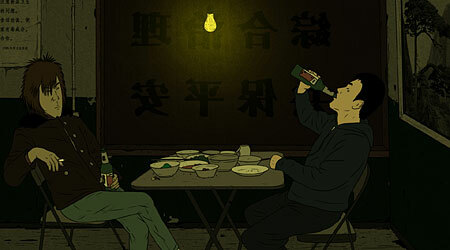 Saturday November 12 at 10:30pm – Piercing 1 – An animated film which very pointedly criticizes the growing wealth gap and political system in China. This sharp satirical film was able to slip past the censors because they assumed that anything animated must be for children. Ha! Thursday November 10 at 3:00pm – Resident Aliens – A documentary about three Cambodian-Americans who are deported to Cambodia as a result of their criminal records, despite the fact that they were brought to America as infants or young children. Sounds like an interesting take on assimilation, criminal justice and (re)discovering your heritage. There are several more films which I’m hoping to catch, including some of the shorts programmes, which are often home to some of the festival’s hidden treasures. This year, I’m hoping to see A Drummer’s Passion, which explores the life of the Korean drummer Kwon Soon Keun, made (in)famous by a YouTube clip of his intense performance. Now 70 and living in Toronto, I’m sure he has a lot of stories to tell. Tickets and passes are on sale now, so I hope you’ll check out some of the films, either in the 416 or the 905. This entry was posted in Film Festivals, Reel Asian and tagged #reelasian11. Bookmark the permalink.